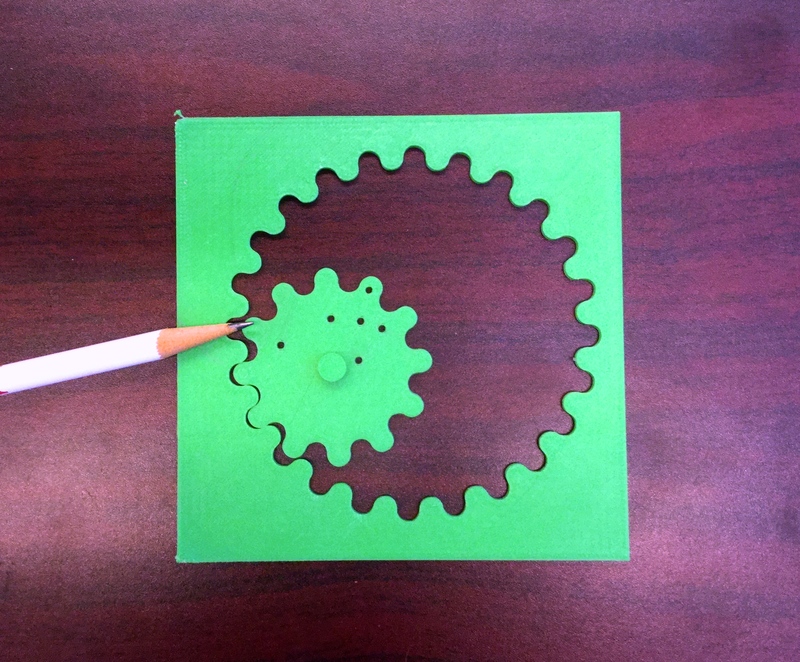 After having discussions with my math peeps, I decided to make gears. 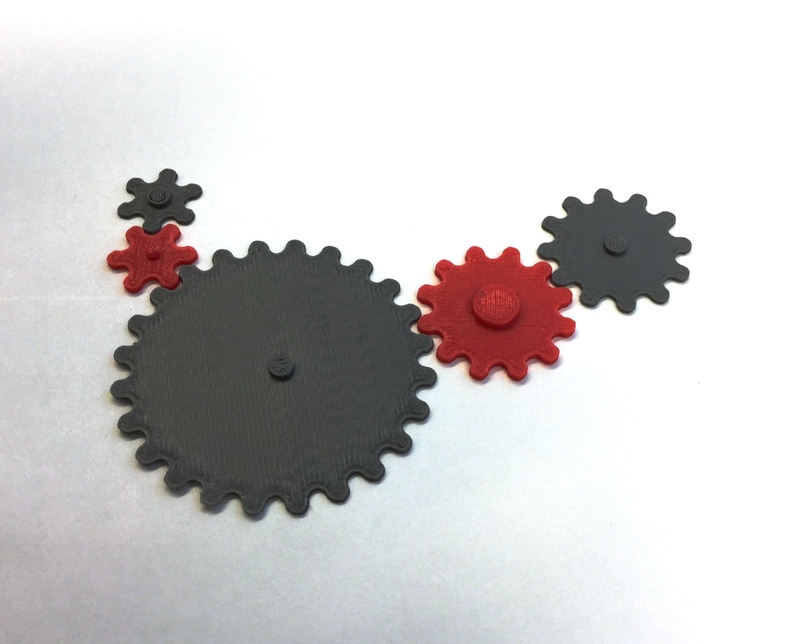 From scratch, in Sketchup. Many failures ensued. Thankfully, a Youtube video showed me the light (granted, I had to watch the video about 20 times). 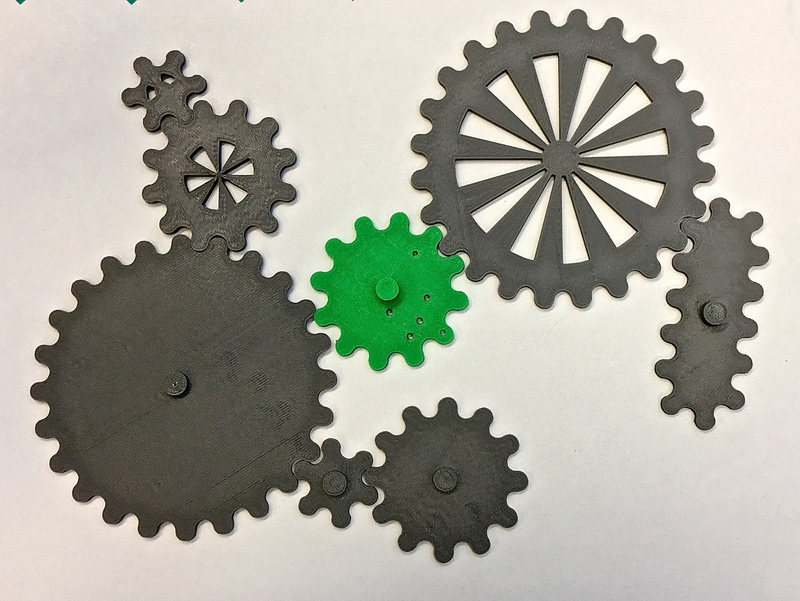 Anyway, the gear ratio works (don’t ask me what that means), and different sizes of gears spin with each other. 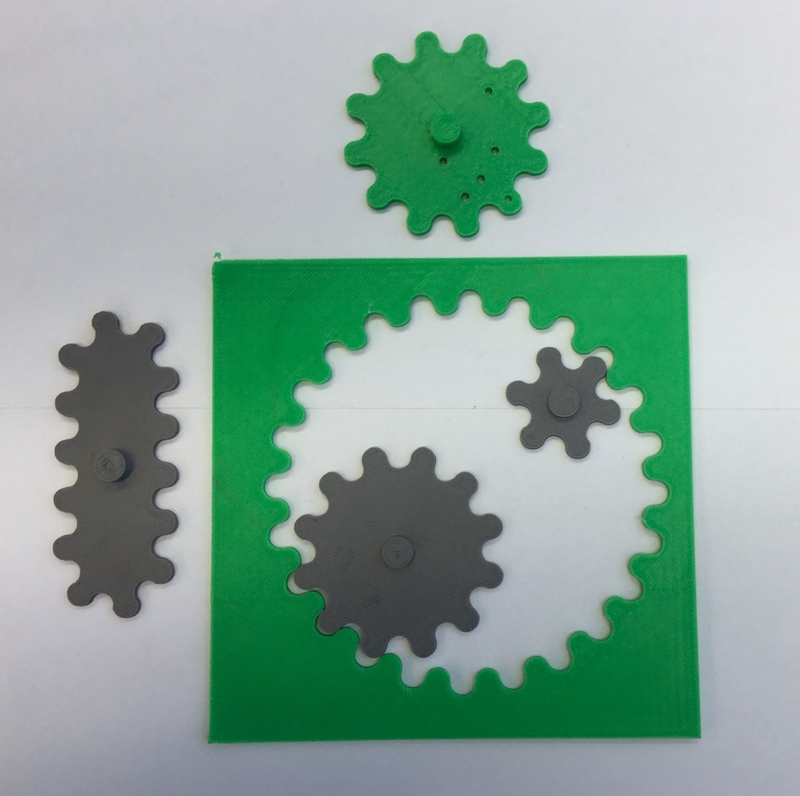 I even got fancy with irregular shapes (see the long gear) as well as gears with cut-outs (to save filament) and a gear with holes (to create abstract designs a la Spirograph).